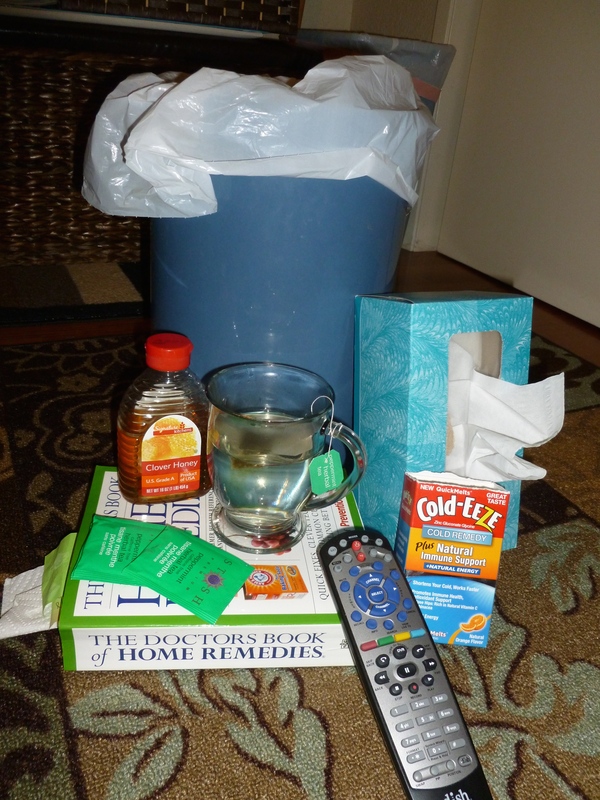 I’ve had a cold the last few days – one of those colds that makes you think it was a mistake not to have invested heavily in Kleenex stock, herbal tea, honey, zinc tablets, or home remedy books. One benefit of having such a cold is that little is expected of you. You can’t cook, clean, or think, for that matter. What you can do is watch television. Because there is a tendency to fall asleep when you have a cold, I recommend choosing the most mindless program possible. That way, you won’t miss anything important. This is perfect for me. In my “coldy” state, I do not have to bother with the complexity of DVDs, or streaming video, or even changing the channel. I am really hoping to get over this cold soon, so I can watch something that requires my attention. ← One year ago today …. Thanks for the advice, Dr. James. Sounds like you have thought it out well and I will be happy to follow instructions. You forgot the aspirin; I’ll take it just in case. Hum. I did miss that one. Must be because of my “coldy” brain.